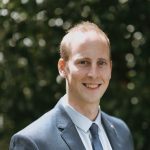 As fully licensed insolvency practitioners we can help businesses in Bath and the surrounding area with advice that can help make all the difference in deciding if a business rescue is the right approach or whether to instead close your business entirely. 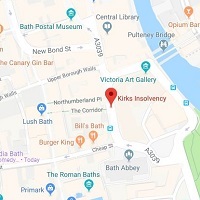 Kirks have been in practice since 1992 and in that time have seen and dealt with all forms of insolvency and understand the sort of problems and issues you will be facing. We are sympathetic and know it can be a very hard place to be in and will support you and help you make the right decisions. Insolvency is a minefield of jargon and probably all unfamiliar to you. However for completeness here is a list of what we can help with. We first of all find out what you own and what owe to your creditors. Then we ask you what your objectives are and what you would like to be the outcome to see how we can help and what is the right choice for you. All meetings or telephone calls are initially free of charge until you appoint us. If the right answer is for your business to close then we can deal with a Creditors Voluntary Liquidations from £3,000 plus VAT. We are happy to come to you or meet at our offices if more convenient. Call us on: 01225 536017 or email us and we will endeavour to get straight back to you. All information you supply to us will be dealt with in the strictest confidence and there is no obligation to use our services.